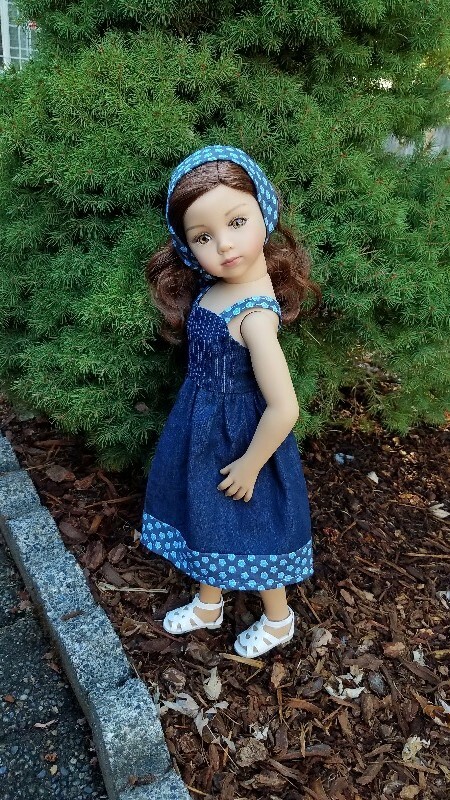 This PDF sewing pattern is designed to fit 20" Maru and Friends® dolls who have the following measurements: Chest: 10 1/2", Waist: 9 1/2", Hips: 10 1/2". 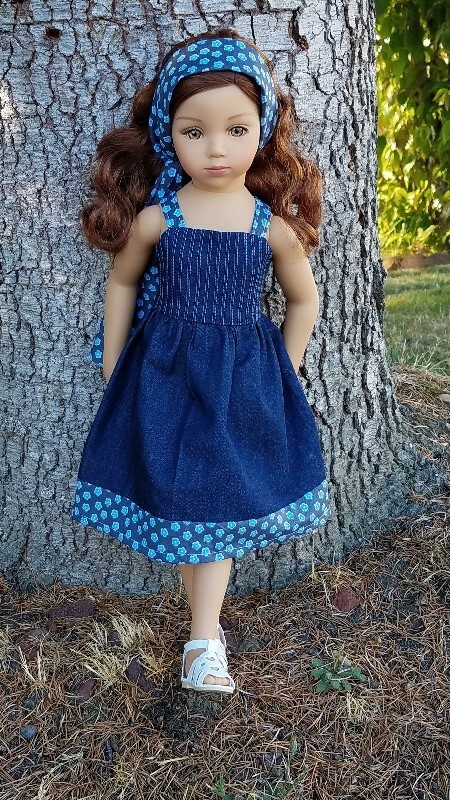 This pattern is also available for 6" mini dolls, Journey Girls, Karito Kids, American Girl, A Girl For All Time, and Kidz N Cats dolls. This was a delightful, fun pattern to work with, full of possibilities, the directions were clear & concise, & very detailed, & easy to follow. Thanks so much! The pattern instructions were easy to understand.I like this pattern. Instructions are detailed and thorough. I made mine with a fuller skirt and the pattern has bodice pattern markings to accommodate to the extra bulk. 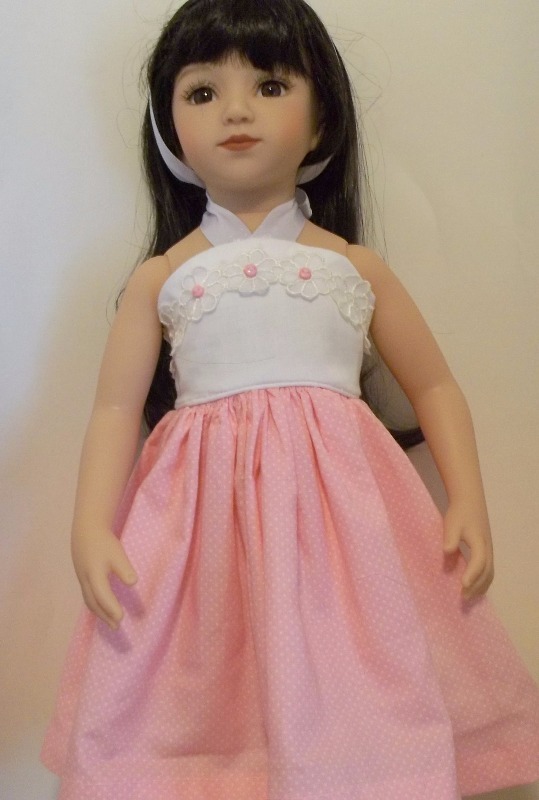 Variety of fabric, embellishments and length make this a very versatile pattern. This pattern is easy to do and with it a million of possibilities (long or short,...) for a great dress ! It fits perfectly to Maru and Friends dolls.